We’d love your help. Let us know what’s wrong with this preview of Zaria Fierce and the Enchanted Drakeland Sword by Keira Gillett. If Zaria Fierce had her say, being a princess would mean you’d never have to wait for news. In the eight months since Olaf tricked her, Zaria has felt a near constant mixture of restlessness, listlessness, and hopelessness. When the time comes to fix past mistakes, she is more than ready to climb aboard the ship sailing towards the giants. Summer "Princess, you are needed." To ask other readers questions about Zaria Fierce and the Enchanted Drakeland Sword, please sign up. Have you read this book? This second book is a wonderful follow up to the first book in the trilogy. It is very enjoyable. It does not disappoint! Also the audio book(s) are great! The second book in Keira Gillett’s Zaria Fierce series, this continued the fun middle grade adventure that began in Zaria Fierce and the Secret of the Gloomwood Forest. While this probably could be read as a standalone, I would suggest reading the series in order to get the benefit of the character development as it progresses. While the first book introduced the reader to Zaria and her group of friends on their journey through magical worlds that are new to them, this installment expanded its s The second book in Keira Gillett’s Zaria Fierce series, this continued the fun middle grade adventure that began in Zaria Fierce and the Secret of the Gloomwood Forest. While this probably could be read as a standalone, I would suggest reading the series in order to get the benefit of the character development as it progresses. While the first book introduced the reader to Zaria and her group of friends on their journey through magical worlds that are new to them, this installment expanded its scope. 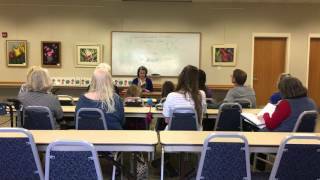 The characters are developed more, we see more of the magical worlds and where they interact with our human one, and we also learn more about the different types of magical creatures and their unique traits and behaviors. The story moves along at a fast pace and ends on a cliffhanger that has me curious to see what happens next in the third book. Fans of middle grade fantasy will certainly enjoy this series that is so full of exciting adventures! Definitely recommended. Disclaimer: Thank you again Keira Gillett for providing me with a copy of this book in exchange for an honest review. I was honoured to be invited by Keira Gillett to be part of her debut book blog tour, Zaria Fierce and the Secret of Gloomwood Forest, a fantastic book set on the Scandinavian folklore. It was a delightful book with beautiful illustrations and a story that had me hooked. The sequel is just as good as the first one, perhaps better and I’m so happy to be part of Keira Gillett‘s Blog Tour for Zaria Fierce and the Enchanted Drakeland Sword. This sequel happens a few months after the events of the first book and Zaria and her friends are of to try to find a sword that will help them rescue Hart. One of the things I found amazing was the fact that the characters developed a great deal since the first book. I found them quite mature and definitely determined and loyal. Their friendship is something quite remarkable to read and Keira did an amazing job portraying each individual character. I had previously adored them all but in this book I became truly connected with them. In this second book the friends and Hector travel through various different realms in search of this enchanted sword. I loved reading about these magical realms. The Norwegian folklore and lore are really present in these books, the fairytale side of Northern Europe simply giving the story a remarkable side that is unique. I’m beginning to get really interested in the Norwegian folklore because it’s so rich and so vast. Simply wonderful and Keira really knows how to transport it into her stories. I liked having the opportunity to met new characters and go even deeper into the story. We slowly begin to unfold several things that were not explained in the first book. The pieces of the puzzle are fitting together and it only makes me super excited about the third book. I admit that I created a bond with these characters and with the story that can only be explained by recommending you the book. I loved how he portrayed Mrs. Brown, a character I hope to get to read more about in the continuation. In my opinion, I think Keira‘s writing in this book also developed. Her descriptions of not only the characters and their feelings but also of the setting was more detailed and, in a way, more beautiful. Just like the characters and the story are growing, her writing is also becoming quite amazing. I congratulate Keira Gillerr because her series only gets better. Not only are the characters growing with their adventures as we are as readers. As I mentioned on my previous review, this is definitely a story worth sharing with our family. And if I had previously said that this series was a delight to Narnia and Spiderwick fans,I will consider The Enchanted Drakeland Sword as a potential children’s version of The Lord of the Rings. 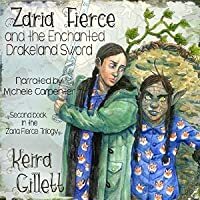 Zaria Fierce and the Enchanted Drakeland Sword by Keira Gillett, narrated by Michele Carpenter. I was given a copy of this audiobook from the author in exchange for my honest review. These thoughts are my own. I have not been paid for this review. Zaria Fierce and Enchanted Drakeland Sword is the second book in the Zaria Fierce trilogy. This story follows the aftermath of Hart being stolen by Olaf. Hector comes for Zaria and Zaria Fierce and the Enchanted Drakeland Sword by Keira Gillett, narrated by Michele Carpenter. Zaria Fierce and Enchanted Drakeland Sword is the second book in the Zaria Fierce trilogy. This story follows the aftermath of Hart being stolen by Olaf. Hector comes for Zaria and her friends for another adventure into the heart of many lands in Norse mythology. Zaria continues to be haunted by nightmares and self blame regarding the loss of Heart, the Staglord of the Elkenfolken's son, Hart. All of the children set off in hopes to find the Enchanted Drakeland Sword and find where Hart is being kept by Olaf. Along the way, they meet many Giants, some who are helpful and others who are not. Eventually they make their way into the land of dwarves. Zaria keeps having these visions where she sees a spector of sorts who looks like her. She is sleeping in her bed when it wakes her up. It tells her it is slowly turning into her and will eventually make his way up to surface with people of Earth and will fool them all into thinking he is her. He then flees, which causes Zaria to follow after him down the dwarvan tunnels through a hidden magical door. Once through, she finds Hart, and frees him with her newly acquired Drakeland Sword. Only, it wasn't Hart, it was Koll, the deadly dragon Olaf is desperate to free from the Under Realm where he has been trapped for thousands of years. To save from any spoilers, I will end the synopsis here because the adventure is worth the read, or listen. The narrator is fantastic, bringing each of the characters alive. 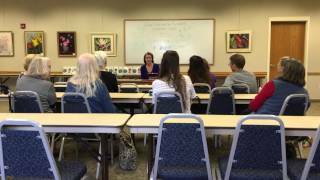 Each character is well written and has continual growth. The reason I gave this 4.5 stars, instead of 5, was simply because Zaria was almost whiney, and it got annoying after a while. Also, out of all 3 books, this one was my least favorite. I felt that it did not accomplish as much as book 1, and book 3 (review to come soon). I felt it took me longer to get through and I needed frequent breaks. It is worth reading, and getting through, because book 3 was spectacular and a fantastic way to end the trilogy. This takes place a few months after book 1. Zaria and her friends have to find a certain sword in order to rescue Hart. Along the way they face a multitude of magical creatures and Zaria is plagued by something very sinister. What is following her in the shadows? I really enjoyed book 1 but have to say that Keira Gillett has upped her game with this installment. This is darker, scarier and more action packed than the previous one and I ended up listening to it in a day! Once again, the authors ch This takes place a few months after book 1. Zaria and her friends have to find a certain sword in order to rescue Hart. Along the way they face a multitude of magical creatures and Zaria is plagued by something very sinister. What is following her in the shadows? Once again, the authors characters are extremely well written and developed. They all evolve and grow throughout the story and you can't help but root for Zaria! Poor Zaria, though. She has a sense that something evil is following her and it's even invading her dreams. She's also being very hard on herself and shouldering the blame for being tricked in book 1. The plot was fast paced, entertaining and engaging.There is never a dull moment when it comes to the wonderful word that the author has created. Richly detailed and totally captivating, this series has the potential to be great. I'm realy looking forward to more adventures from Zaria and her friends. I was given a copy in exchange for an honest review. I really enjoyed the starting book of the trilogy, and this one does not disappoint. It does suffer from the usual "incompleteness" syndrome that is hereditary in the middle episodes of a series, but it does a good job of raising the stakes for the last book. I find the tone charming throughout, the banter between Zaria and her friends is rather humorous, and the new setting and creatures keep things rolling. Now I guess I have to wait a few mon I was given a copy in exchange for an honest review. I find the tone charming throughout, the banter between Zaria and her friends is rather humorous, and the new setting and creatures keep things rolling. Now I guess I have to wait a few months for the final installment. The Zaria Fierce series just keeps getting better, with this sequel! This is an awesome fantasy filled with suspense, from the first page to the last! The vivid descriptions combined with the beautiful illustrations make the setting come to life. This book packs in a ton of action, and keeps you wanting to know what happens next. If you enjoy mythical creatures, or fantasy filled adventures, you'll enjoy this book! Another nice read (listen, narrator is also very well performing, just right for this story), like the first book. And there will be more adventures, it's a bit of an open end. Always nice to have the promise there's more to follow. I look forward to reading/hearing more of Zaria's adventures. Thanks to Keira Gillett who was kind to give me a free copy of both her books, I found this series a very pleasant way to spend some time. An awesome adventure to add to this series! Loved it! Full review to come! An awesome action packed adventure. A fun book with a positive message. I won this book through good reads. Zaria Fierce & the Enchanted Drakeland Sword by Keira Gillett Note: This is a series best read in order. So start with the most entertaining Book 1, Zaria Fierce and the Secret of Gloomwood Forest. Continuing Zaria’s adventures in Norway, she and the boys have the chance to set sail to visit the giants! Who could say no to that? Yet even on the initial leg of their journey, Zaria feels that something is following her, perhaps even haunting her. No one else sees it or feels it in anyway so Zar Zaria Fierce & the Enchanted Drakeland Sword by Keira Gillett Note: This is a series best read in order. So start with the most entertaining Book 1, Zaria Fierce and the Secret of Gloomwood Forest. Continuing Zaria’s adventures in Norway, she and the boys have the chance to set sail to visit the giants! Who could say no to that? Yet even on the initial leg of their journey, Zaria feels that something is following her, perhaps even haunting her. No one else sees it or feels it in anyway so Zaria begins to doubt herself. And this is not an adventure for the faint of heart! Giants and elves and dwarfs! And don’t forget that shadow of the dragon Koll that seems to loom over everything. In Book 1, Christoffer had to sit out most of the book since he was being held captive by the river troll Olaf. Now he’s free and he happily joins his friends in this latest adventure. Aleks, the changeling, once again uses his Stargazer to freeze time so they can leave without stirring a fuss with their parents. Geirr and Filip are definitely up for another adventure! Hector has asked them to come along in his quest to obtain a mighty sword that will aid him in freeing his son Hart, who was taken captive at the end of Book 1. Zaria feels quite a bit of responsibility for how things went wrong and she wants to make up for it by helping Hector anyway she can. Once they board the ship, the kids learn the captain is a troll and they are a little leery. After all, their only experiences with trolls have been a bit negative. But they soon learn that Captain Bjarke is a good person and a friend to Hector. The land of the giants was quite fun. Pet woolly mammoth! Such great imagery. The first giant they meet, Ingdor, is working the harbor and the kids quickly have to become accustomed to either them or whatever they are standing on (like the ship Ursula) being picked up and moved about. 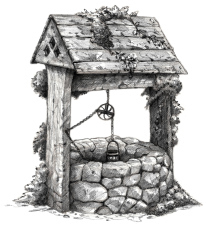 Hector is hoping to barter for safe passage to the Dwarven lands but Oskar the Elevated and his wife Siela, her Altitudiness, are not willing. The action amps up as they try a trickier way into the Dwarven halls. Unfortunately, they come across a group of tricksy elves. Zaria uses her wits to maneuver them into agreeing to three challenges. Things could go wrong in so many ways! Without spoiling anything, let me just say Zaria and crew eventually do get to chat with the Dwarves but it’s not as warm a welcome as Hector had been hoping for. Both Aleks and Zaria are adopted and both have to deal with their fae heritage. Aleks has been told all his life to avoid it and that makes this trip extra hard for him. Zaria only found out about her fae heritage towards the end of Book 1 and it’s still a big, big mystery to her. But they aren’t the only ones dealing with fears. One of the lads has a great fear of being underground. Zaria is haunted by this apparition that only she can see from time to time. Indeed, the kids are growing up and part of that is facing these fears. The ending was clever, dramatic, and I definitely felt for Zaria. Ugh! This girl will need therapy. She already carries some weight for the capture and imprisonment of Hart in Book 1. Now, she has to face the unexpected consequences of her well-intentioned actions. I look forward to seeing how Zaria saves the day or compounds the problem in Book 3. I received a copy of this book at no cost from the author in exchange for an honest review. Note: This is a series best read in order. So start with the most entertaining Book 1, Zaria Fierce and the Secret of Gloomwood Forest. Continuing Zaria’s adventures in Norway, she and the boys have the chance to set sail to visit the giants! Who could say no to that? Yet even on the initial leg of their journey, Zaria feels that something is following her, perhaps even haunting her. No one else sees it or feels it in anyway so Zaria begins to doubt herself. And this is not an adventure for the f Note: This is a series best read in order. So start with the most entertaining Book 1, Zaria Fierce and the Secret of Gloomwood Forest. In Zaria Fierce and the Secret of the Gloomwood Forest, Zaria made a huge mistake while trying to rescue her friend Christoffer, well she was actually tricked by Olaf, a river troll, but the sting of what transpired has been a painful reminder of her mistake. Waiting months on end for any news from Hector hasn't been easy and Zaria and her friends are impatient to begin the next step of their adventure, to retrieve the Drakeland Sword. When news finally arrives from Hector, Zaria, Geirr, Filip, Aleks and Christoffer, make arrangements to acquire a ship and set off for the kingdom of dwarves. Zaria plans to present herself to the dwarf king in hopes that he will release the Drakeland sword to her. But, something sinister has been following them, lurking in the shadows plaguing Zaria, haunting her dreams and feeding off of her insecurities. Will Zaria prove to the king that she is Queen Helena's daughter or will she succumb to her fears? I like how the action begins quickly and Gillett brings the reader up to speed on the plot, no time is wasted in getting these friends off on another adventure through the Norwegian countryside. Oh and that setting, it's one of the most enjoyable things in reading Gillett's stories. All the lovely rich details of each of the magical kingdoms, each place is unique and highlights the depth of her imagination. 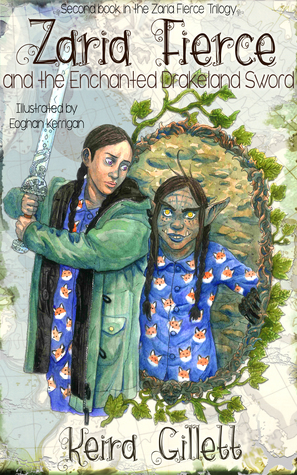 (For some really good examples of the magical kingdoms check out this blog tour stop Gillett did at A Cup Of Coffee and A Book and while there check out the illustrations by Eoghan Kerrigan too.) I also love the detailed illustrations by Kerrigan, they really compliment the text and bring the trolls, giants and dwarves to light. In book 2, I couldn't help feeling sorry for Zaria. She has been paying dearly for her mistake, mostly by being so hard on herself and taking all of the blame for being tricked by Olaf. 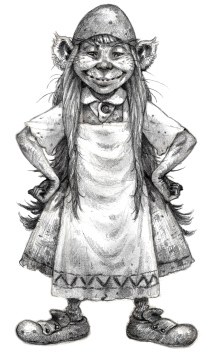 It's been difficult to see her transforming from this shy quiet girl, to then fighting off wolves, and now regressing backward after being plagued by this trollish specter. I had wished that she could articulate to her friends what was happening to her and know that they would have been there for her all along. They all do make such lovely friends. But, I'm fairly certain that Zaria will be back to herself in the next book and learn from the whole experience. So, if you like middle grade stories about Norway with beautiful illustrations, you'll really appreciate Zaira Fierce. Hi! It's Katie! Zaria is at home waiting impatiently for her to be able to take action, and help Hart. Finally Hector comes to take them to trade with the Giants for transportation to Vadsø also an much needed introduction to the dwarvish courts of Jerndor. Will the Giants accept or reject? If they do reject how will Zaria save Hart? To make it all just a little bit harder... Zaria is still haunted by a presence in the shadows. This book has my best reviews, and the series is quickly becoming one of my favorites! Kiera Gillett is a very good first person writer. I know that you will love this book as much as I do! Because Kiera Gillett is such a good writer you will want the third one quick. Keep in mind this is the second book not the first don't read this one if you haven't read the first book. Also this book makes a great audiobook. My mom let me listen to it when it got to dark to read in the car, but I couldn't stand not knowing what was happening to Zaria. Zaria's continues in Zaria Fierce and the Enchanted Drakeland Sword. Armed with a better understand of who she and what she needs to do, Zaria and her friends are back and trying to fix a major mistake she made while trying to free Christoffer. We’ve got pirate ships and giants in this story, and a very creepy doppleganger making some trouble for Zaria. Can she get hold of the enchanted Drakeland sword and foil Olaf’s plans? As was the case with Gloomwood Forest, Drakeland Sword is written and il Zaria's continues in Zaria Fierce and the Enchanted Drakeland Sword. Armed with a better understand of who she and what she needs to do, Zaria and her friends are back and trying to fix a major mistake she made while trying to free Christoffer. We’ve got pirate ships and giants in this story, and a very creepy doppleganger making some trouble for Zaria. Can she get hold of the enchanted Drakeland sword and foil Olaf’s plans? This second book is very satisfying and does not disappoint! It is a wonderful follow up to the first book in the trilogy. I enjoyed both this and the the audio book(s)! With a feeling of nostalgia for Lord of the Rings and Narnia, Zaria Fierce is a great read and is full of adventure. The second book in a trilogy, the Enchanted Drakeland Sword, keeps readers on their toes as Zaria and her friends are at it again in the magical lands of Norway, where they are trying to keep the dragons in the UnderRealm locked away as they need to be. A story full of adventure and good friendship, the second book in the Zaria Fierce trilogy will have you engulfed in it's magic u With a feeling of nostalgia for Lord of the Rings and Narnia, Zaria Fierce is a great read and is full of adventure. A story full of adventure and good friendship, the second book in the Zaria Fierce trilogy will have you engulfed in it's magic until the very end. As if book 1 wasn't awesome enough, book 2 was even more epic! Edge of your seat! Great read! I reread Book 1 before delving into this book, it had been a while and I needed to reappraise myself of the characters and situations. I was glad I did. Being as these books are quick reads (4 Hours by Audio book, 3-6 hours text per reading speed) I would recommend rereading book one to reacquaint yourself with the many characters that reappear in this book: Human and otherwise. This book expands the universe Keira Gillett has created beyond the city and forest of the first book; not only geograp I reread Book 1 before delving into this book, it had been a while and I needed to reappraise myself of the characters and situations. I was glad I did. Being as these books are quick reads (4 Hours by Audio book, 3-6 hours text per reading speed) I would recommend rereading book one to reacquaint yourself with the many characters that reappear in this book: Human and otherwise. This book expands the universe Keira Gillett has created beyond the city and forest of the first book; not only geographically but also in mythos. New creatures and cultures are introduced, even character introspection teases and builds suspense for the reader; there is no lull in action or motivation. It is clear that the age of the main characters plays into their roles. None of the kids are experts and they often make mistakes or regret their decisions; It is clear that, though potential exists, none of the characters is perfect. These highly relatable and realistic character traits are excellent for readers of the same age and nostalgic for adults. There is a twist ending that I didn't see coming and I hope will propel the plot into the next book. Words and concepts are perfect for adolescent readers, ages 12 & up, similarly to the first book. That said, I fully enjoyed it as an adult reader. I highly recommend this series and this author for adolescent and adult readers alike. I look forward to following Zaria and her friends on their adventures; I just hope I bring "the right shoes". Thank you, Keira Gillett, for providing me with a copy of this book in exchange for an honest review. In this second book of the Faria Fierce Series, Faria has become a more confident, and indeed much fiercer, girl. This metamorphosis from timid and shy to brave and fierce began in the first book but takes leaps and bounds in Book 2. Accompanied once again by her crew of boys, Zaria faces new realms of menacing, magical beings with a deeper sense of who she is and what she must accomplish. Sadly, Thank you, Keira Gillett, for providing me with a copy of this book in exchange for an honest review. In this second book of the Faria Fierce Series, Faria has become a more confident, and indeed much fiercer, girl. This metamorphosis from timid and shy to brave and fierce began in the first book but takes leaps and bounds in Book 2. Accompanied once again by her crew of boys, Zaria faces new realms of menacing, magical beings with a deeper sense of who she is and what she must accomplish. Sadly, Faria is also carrying a heavy load of guilt from a “mistake” she made in the first book. Gillett examines the nature of intolerance, or fear of the other, with subtlety throughout the trilogy. Each new set of magical creatures the reader meets is either afraid of, or has a vendetta against, at least one other group of magical beings. The five human children are often seen as the enemy and must fight for their lives time and again. Dashes of humor find their way into these stories as well, giving the reader a chance to laugh and take a deep breath before plunging ahead with the group. Gillett is an expert at building fascinating, detailed, and often terrifying imaginary worlds. Her extensive knowledge of Norse mythology, paired with her seemingly limitless imagination, gives her books depth and, of course, makes them great fun to read. Zaria’s adventures continue in book two. I’m sure I’m not exactly the age range she was going for in her readers, but I enjoyed listening to both of Zaria’s adventure. Unfortunately, my 12 years old quickly became bored with it. I like the story, but it didn’t move at a pace fast enough to keep the attention of the younger readers. I loved the narrator; she did a great job. I love to play board games and I love challenges, so naturally I had to combine the two in this book. It was great fun to invent Kettupeli (fox game). It was inspired by an article that I read discussing how archaeologists would find pieces to a Viking game, but lacking any other context clues they had no idea how it was played. I decided to turn it into a deceptively casual game, with a strategy driven core. The pieces became little standing foxes. The board circular. This was to play off the visual of both chess and Chinese checkers. The fey kept it alive in the heart of Niffleheim, long after the Vikings. It was a game of politics and friendship. It could be used to pick apart how devious your opponent was, or how trustworthy, or how capable, or how distracted, and so much more. I made a tutorial video on building your own copy of Kettupeli. It's also linked as a video to this book's page in case the link above doesn't work. 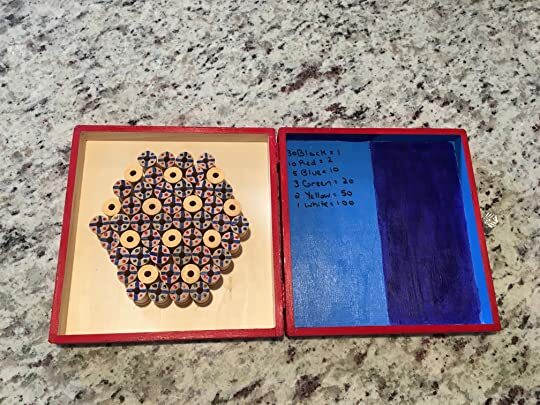 Recommended to get a box that can fit the spools, but you can also create your Kettupeli board on a piece of wood, or poster board. All these materials can be found in a craft store or down a craft aisle at a big box store. If you make your own copy, show me. I'd love to see your finished projects. Instructions on how to play the game can be found within book two of the Zaria Fierce Series. Hi! I’m Keira Gillett and I am from Palm Bay, Florida. By day I am a IT Specialist; by night I’m a children’s author. I own a dog, named Oskar, after a giant ruler in the Zaria Fierce Trilogy I wrote. He's my little foxy-baby, and has me wrapped around his little paw. We have lots of fun adventures together, which you can follow on Instagram with the hashtag #oskarpie. The Zaria Fierce Trilogy debu Hi! I’m Keira Gillett and I am from Palm Bay, Florida. By day I am a IT Specialist; by night I’m a children’s author. I own a dog, named Oskar, after a giant ruler in the Zaria Fierce Trilogy I wrote. He's my little foxy-baby, and has me wrapped around his little paw. We have lots of fun adventures together, which you can follow on Instagram with the hashtag #oskarpie. The Zaria Fierce Trilogy debuted March 2015 with Zaria Fierce and the Secret of Gloomwood Forest. The stories follow a biracial girl's quest to save her friend from a nasty river-troll. The follow-up trilogy featuring Zaria's changeling friend Aleks Mickelsen, reunites the gang as they come together to tackle new adventures, crushes, and teenage trolls.